German brewers are worried that fracking, the process of extracting natural gas from underground shale deposits, will jeopardize the quality of their beer by contaminating the water supply and have asked their government to hold off on passing the fracking regulations it has been drafting for months. 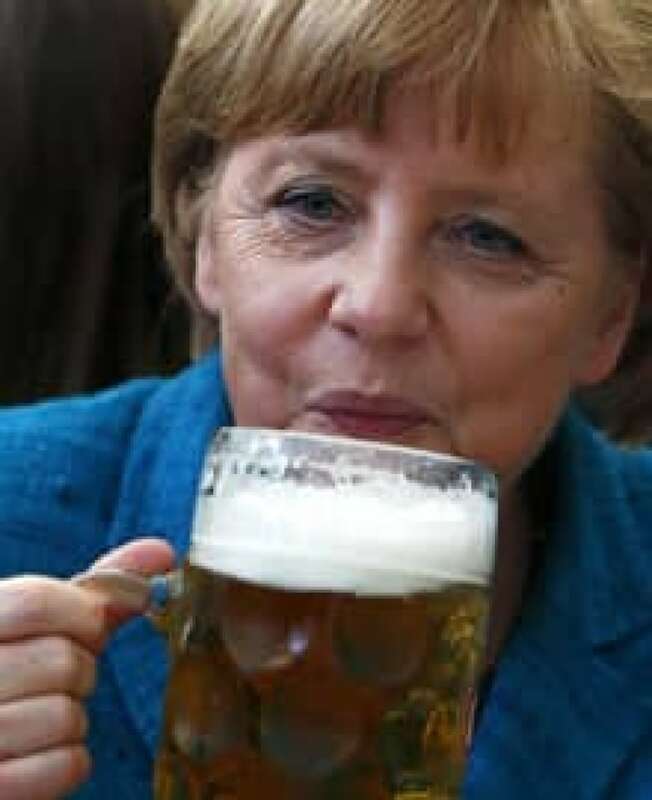 Germany's Bild newspaper reported Thursday that the country's Brewers Federation sent a letter to six government ministers, including those responsible for health and the environment, asking them to delay the passing of legislation that would regulate hydraulic fracturing, or fracking, saying the law does not adequately protect the water supply their industry relies on. During the fracking process, a pressurized mix of water, sand and chemicals is injected into underground shale rock formations or coal beds to release trapped natural gas — or sometimes hard-to-reach oil. The technique has raised environmental concerns because of the large amount of water that is used, the risk of chemicals and waste water leaching into the ground and contaminating ground and drinking water, and the large amount of greenhouse gas emissions that are released. 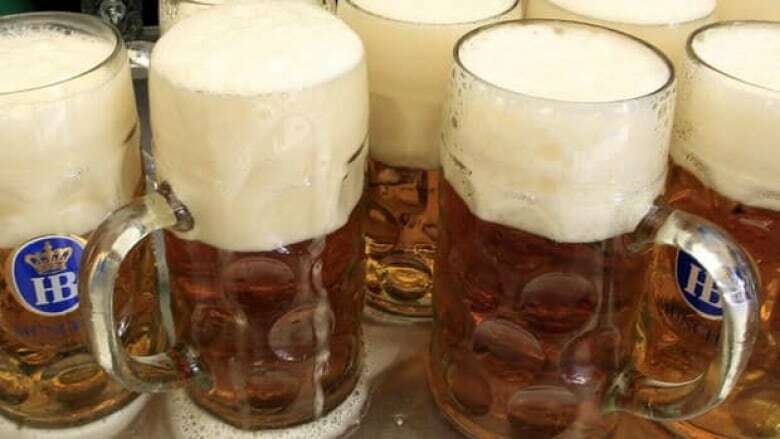 The German brewers say that fracking would violate the 500-year-old "purity law" (known as Reinheitsgebot) that has guaranteed that German beer is made with nothing but water, hops, malt and yeast. Waste disposal: Space is needed to store the waste water safely; sometimes, this involves clearing trees or disrupting habitats. The waste water must be treated at facilities that are not always equipped to remove the contaminants particular to fracking. Contamination: The fear is that the chemicals used and released during fracking contaminate drinking water and groundwater — either during the process itself or through the waste water that is recycled and used afterward. The substances released along with the natural gas can continue leaking from the well for decades after the extraction process. Air pollution: Some of the methane gas being extracted during fracking escapes or is vented at the well head during the process and contributes to greenhouse gas emissions. People living near fracking wells have also complained of noxious fumes from substances released during fracking, such as benzene and toluene, that they say cause headaches, nausea and other symptoms. The integrity of the brewing process, they said, depends on the impeccable quality of the drinking water used, and fracking could jeopardize that. They urged the government to keep debating the issue and do more to safeguard the water supply before pushing through any legislation. Beer is sacred in Germany, which is third after Austria and the Czech Republic in consumption of the beverage. The country has about 1,300 breweries, which employ close to 30,000 people and produce 100 million hectolitres of beer a year, according to the Brewers Federation. But the brewers are not the first in Germany to raise concerns about fracking. The Christian Democratic government of Angela Merkel has already delayed the passing of fracking regulations several times and only recently came to a compromise with its coalition partner, the Free Democrats, on where in the country fracking would be allowed. The German media reported that the government agreed in mid-May to a proposal that would ban fracking in lake catchment areas that are sources of drinking water, but no regulations have been finalized and many doubt they will be before the federal elections in September. Many Germans, including ministers and other members of Merkel's own government, remain wary of the practice, and it could be a hot-button issue in the election. Exploratory drilling has already met with protests in North-Rhine Westphalia and Lower Saxony, where much of the shale deposits are located. For now, there is no moratorium on the practice, meaning the government can technically issue drilling permits for projects that employ fracking, but state authorities have been pushing the federal government to clarify its stance and get regulations on the books. Fracking has been used in the drilling of conventional gas and oil wells in Germany since the 1960s, but the country's shale gas deposits remain largely untapped. Companies like Exxon Mobil Corp. and Germany's own BASF, a global chemicals manufacturer, are eager to start exploiting the resource. Germany's Federal Institute for Geosciences and Natural Resources has estimated that Germany has anywhere from 0.7 trillion to 2.3 trillion cubic metres of shale gas that could technically be recovered, which is about 30 times Germany's annual consumption of natural gas in 2011, according to U.S. Energy Information Administration figures. Diversifying its energy supply is becoming an increasingly important issue for Germany, which currently imports most of its natural gas from Russia, as the country moves closer to the 2022 end date for phasing out its nuclear power plants. Europe has been slower to adopt fracking than North America and does not have a European Union-wide agreement on how to regulate the process. "Europe has 75 per cent of the United States's shale resources, but America is drilling 100 times faster than Europe," British Prime Minister David Cameron told EU leaders earlier this week at a meeting in Brussels on the exploitation of shale gas.